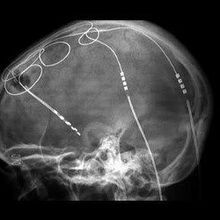 Deep brain stimulation can improve debilitating, treatment-resistant brain disorders but involves surgically implanting electrodes that often have to penetrate multiple layers of tissue before reaching their targets. In a mouse study published today (June 1) in the journal Cell, researchers devised a nonsurgical method in mice for stimulating regions buried beneath the brain’s cortex without perturbing the surrounding tissue. But because the surgical procedure is invasive and often requires patients to remain awake, “the number of patients that can get this treatment is limited,” Grossman adds. 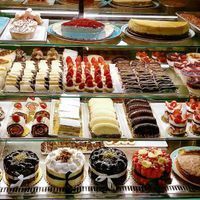 Patients taking anti-clotting agents or those who are psychologically incapable of coping with surgery are also excluded, says Tipu Aziz, a professor of neurosurgery at the University of Oxford who did not participate in this study. “If we can stimulate from the outside [of the brain], maybe we can help more people,” says senior author Ed Boyden, MIT neuroscientist and bioengineer. The researchers’ method relies on neurons’ universal lack of response to high-frequency stimulation—a “fundamental biophysical property that we’ve known for decades,” says Grossman. However, they demonstrated that neurons could tell the difference between two interfering currents if the frequencies were slightly different. 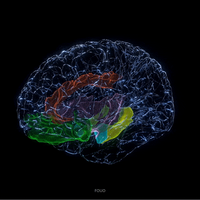 Supplying these high-frequency currents from the surface of the brain to select regions nestled below the cortex worked. The scientists elicited slightly different high-frequency currents from two strategically placed electrode pairs on top of a mouse’s head: in one experiment, the electrodes on one side of the skull supplied a 2,010 kilohertz current whereas the opposing electrodes stimulated at 2,000 kilohertz. These high frequencies did not affect neurons in brain regions through which they passed. But, in regions of the brain where these currents overlapped, they interfered with one another. In the intersecting region between the 2,010 kilohertz and 2,000 kilohertz electrode pairs, neurons were able to sense the difference between the two frequencies and were recruited to fire at 10 hertz. 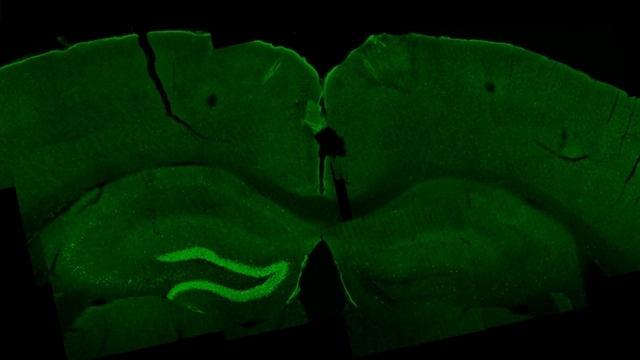 Grossman and Boyden’s team calls this “temporal interference stimulation,” and demonstrated it first in vitro and then in mice, where they initially recorded neuronal activity in the cortex after applying interfering currents from two close-together electrodes. They then dove deeper into the brain, selectively stimulating neuronal activity in the hippocampus, a region below the cortex. “This is the first time ever that someone demonstrated that neurons can actually respond to this,” says Grossman. Next, the researchers “steered,” or shifted the location of the electrical envelope—the point at which the two fields overlap to produce the subtracted low frequency—just by increasing or decreasing the electrode’s stimulating frequency on one side. When the current on one side is weaker than the current on the other side, the envelope shifts close to the weaker side, says Boyden. By steering this electrical envelope, researchers produced alternative movements in the mice’s right and left paws, whiskers, and ears. Boyden’s team confirmed that stimulating the brains of awake mice did not alter brain temperature, damage neurons or DNA, or invoke an immune response 24 hours later. Notably, temporal interference stimulation affected neuronal activity within intended brain areas without impacting surrounding regions, the researchers demonstrated, by examining the hippocampus and surrounding tissue for c-fos protein levels, a marker of neuronal activity. Other existing tools are capable of stimulating the brain sans surgery. Yet magnetic fields or electric currents applied to the skull mainly affect the cortex and potentially subcortical structures. But, “to stimulate a deep region, you also have to stimulate a superficial region,” says Boyden. The clinically important structures are oftentimes the ones submerged below the surface. 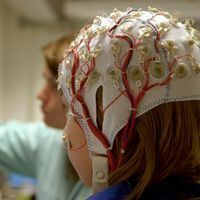 Temporal interference stimulation is a step in that direction, but the researchers’ mouse model may not directly translate to humans. “In the hippocampus of a mouse, its distance from the surface is certainly very different from where the hippocampus lives in a person,” Mayberg points out. Boyden and Grossman acknowledge these limitations, and are currently conducting trials in humans. While their method is less invasive, Boyden points out that it’s “less focal” than the precision afforded by deep brain stimulation electrodes, which can hone in on structures near their tip. “It’s the beginning and there’s a lot more work to do, but it’s a milestone,” says Grossman. N. Grossman et al., “Noninvasive deep brain stimulation via temporally interfering electric fields,” Cell, doi:10.1016/j.cell.2017.05.024, 2017.